It may seem far off now, but when winter rolls around again you’ll look forward to the cheer and warmth of a roaring fire in your living room. However, if you don’t maintain your chimney during the warmer months, it can constitute a serious fire hazard. Our advice? Invest in a chimney sweep now to prevent fires next winter. What’s dangerous about an unswept chimney? One word: creosote. When you burn wood in your fireplace, the smoke travels up the chimney where it cools and forms condensation. As that condensation hardens, it leaves an oily residue called creosote. The problem with creosote is that it’s highly flammable. If you don’t have it removed periodically, it can accumulate and create a major fire risk. A mere eighth of an inch of creosote can quickly catch fire. Any stray spark or ember from the fireplace can ignite the creosote, posing grave danger to your health and property. The solution to creosote accumulation is to schedule an annual chimney sweeping and inspection. 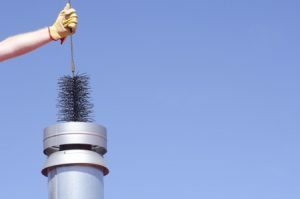 A professional chimney sweep can get rid of any hazardous creosote accumulation and ensure that your chimney and fireplace are safe to use again next winter. Don’t wait until it gets chilly again—the best time to book your sweeping and inspection is during the warmer months, when your chimney is not in use. Still have some lingering concerns about the safety of your home and its chimney? Feel free to give the team at First Choice Inspectors a call to get your free inspection quote today! Do you live in an older home that could use some updating? There are dozens of home improvement projects that you might be considering, but some of those projects are better-suited to old homes than others. Let’s take a look at a few home improvements that can dramatically improve your home and its resale value in the process. 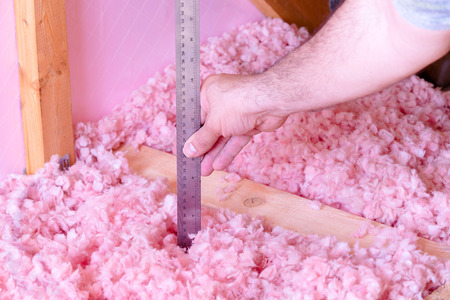 Home insulation has come a long way in the past several decades. Not only can modern insulation make your home more comfortable; it can also reduce your energy bills during the summer and winter. If your home feels a little drafty on cold mornings, consider investing in an energy audit to find sources of heat loss that could be sealed with fresh insulation. Another way to reduce the energy costs associated with your older home is by replacing your current water heater with a tankless option. Tankless water heaters are great because they don’t take up much space, they deliver hot water on-demand and they are far more efficient than traditional water heaters. Many older homes are still painted in colors that were popular in the 1970s and 1980s. Does your home fall into this category? If so, simply updating the interior with more contemporary colors can make a huge difference in its overall appearance. If the current paint in your home is really old, however, you may want to consider having a lead-based paint inspection first. In addition to being somewhat unsightly, outdated light fixtures can also hide old electrical wiring that may not be up to code. Consider replacing these old fixtures with modern alternatives, and outfit them with LED light bulbs to help you save money on your electric bill. Springtime is home buying season. With good weather on the horizon, realtors and sellers alike are readying homes, making repairs and preparing for open houses. The last few years have been a sellers’ market, and 2019 is expected to continue this trend. With this in mind, many buyers may be expanding their searches to include older homes. Although there are no hard and fast rules for what constitutes an older home, those built before 1920 fall in the antique category. 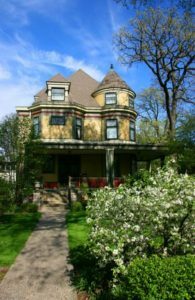 Since Chicago became a city in the mid-1800s, there is a substantial inventory of older homes in the city and surrounding suburbs. As such, it’s not uncommon for prospective buyers to find an older home on the market. It may have a rustic charm, but buyers should be aware of a few common and costly issues associated with these homes. Until the 1970s, construction materials commonly included lead and asbestos. Any older home may have remnants of these hazardous materials leftover from previous decades. Mitigating lead plumbing can mean filtration, replacing a few fittings or replumbing a whole house. Many older homes come with a lead paint warning, and the only way to ensure a house is completely free of lead paint is by investing in professional lead paint abatement, which can be expensive. The same goes for asbestos removal. Most houses built in the early 20th century were not wired for the number of electronics, lights and appliances we have these days. While you will need an inspector to fully assess the wiring in a house and a professional electrician to help replace wiring, you can learn some useful things about a house’s electrical condition during an initial walkthrough. Look for Ground Fault Circuit Interrupters (GFCI) and grounded, three-prong wall sockets. Count the number of outlets in each room; newer building standards typically include them every few feet. Open the breaker box as well. It should have breakers, not fuses, and the panel should be free of rust and other signs of damage. 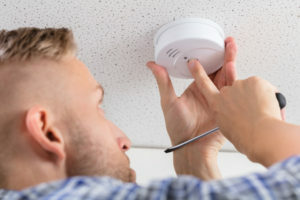 Although water heaters, furnaces, and central air can last for decades in some cases, an older home may have equipment that is well past its recommended replacement date. The current owner will probably be unlikely replace these items, but with a little research, you can schedule and prepare for their replacement costs. Don’t forget to account for appliances like refrigerators, ranges, and dishwashers too. This short list of issues that you may find in an older home is just a start. Home buyers should also be on the lookout for mold and mildew, termite problems, leaky plumbing, poor insulation, outdated windows, roofs in disrepair, radon and foundation problems. Of course, a professional home inspector will call attention to any of the issues, but it never hurts to have a list of questions ready when it comes time to walk through that classic old house of your dreams. Thinking about buying a home in the Windy City? Chicago’s housing market may be experiencing a period of slow growth, but it’s also one of the most affordable markets in the nation, according to a recent report published in Crain’s. This report found that, of the 20 largest cities in the U.S., only St. Louis has a housing market more affordable than Chicago. 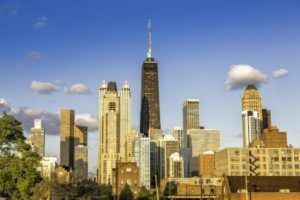 Furthermore, while other major cities such as New York, Seattle and Philadelphia are expected to see an increase in housing prices over the next few years, the report estimates that Chicago’s market will continue to remain affordable through late 2021. Rather than comparing cities to one another, this affordability index compared individual cities to their own price histories, taking into account variables such as employment growth, incomes and home prices. Based on this data, the report found that monthly payments on median-priced Chicago homes account for 23 to 24 percent of the median household income. In contrast, during the most recent housing boom, housing costs in Chicago were as high as 35 percent of the median household income. These unique market conditions have made it a particularly good time to buy a home in Chicago. Whether you’re buying your first home or shopping for investment properties, the team at First Choice Inspectors can work with you to make sure you’re making an informed decision. We offer a diverse selection of home inspection services, including new home inspections, energy audits, radon inspections and more. Give us a call or contact us online to schedule your next inspection today! Did you know that termite damage costs U.S. homeowners an estimated $5 billion a year? Termites tend to be particularly active this time of year, when warm weather gives them an opportunity to swarm and form new colonies. With this in mind, it’s always a good idea to stay on the lookout for signs of termite activity in and around your home during the summer. Let’s start by inspecting your flooring. If you have wood or laminate flooring in your home, check for areas with “blisters” that might resemble water damage. This blistering effect tends to occur when termites start chewing through a home’s subfloor. If you find these blisters and you haven’t had a plumbing leak in the past, there’s a good chance that termites are the culprits. 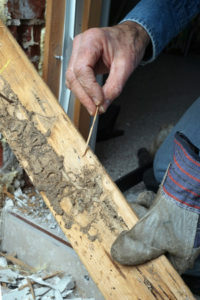 Spotting termite-damaged wood can be tricky because the insects tend to burrow behind walls, floors and other surfaces. That said, you can sometimes find the tell-tale grooves that hungry termites leave in the wood around your home’s foundation. If you see signs of termite damage in a crawl space or on the bottom edges of your siding, for example, there may be more damage on other wood surfaces in the home as well. Many termites leave their nests in the summertime to find mates and new places to expand their colonies. During this process, they tend to leave a lot of droppings and discarded wings laying around as well. If you find these droppings and wings around your home this summer, consider calling an exterminator sooner rather than later. Concerned about hidden structural issues in your home or a home you’re thinking about buying? Give us a call or contact us online to schedule an inspection with the team at First Choice Inspectors today! On days when the temperature creeps into the 80s and 90s, it can be difficult to resist the urge to crank up the A/C. 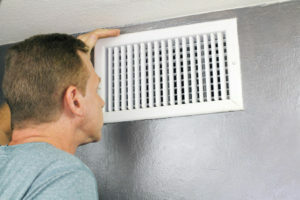 If you have small children or pets at home, air conditioning might be downright essential this time of year. Unfortunately, in addition to make your home far more comfortable, air conditioning can cause a noticeable spike in your energy bills. 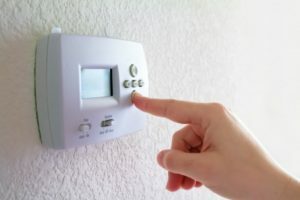 Today we’ll look at a few ways to minimize the impact of air conditioning on your electric bill, so you can stay comfortable without breaking the bank. Ceiling fans can assist your A/C unit by dispersing cool air around your home and preventing hot air from pooling on the ceiling. A ceiling fan won’t actually cool a room, but it will make the room feel cooler by redistributing air. This way, you can keep your thermostat a few degrees higher without causing discomfort. Be sure to close your curtains and blinds before you leave for work in the morning. Otherwise, the sunlight will radiate through your windows all day and force your A/C to work harder to keep up with the heat. Blocking all that excess sunlight can put a significant dent in your monthly energy costs. If your thermostat is on a warm wall next to a window, it may be causing your A/C to run more than it needs to. Ideally, your thermostat should be placed on an interior wall in a room you use frequently like a living room. You should also make sure it’s not obstructed by furniture or other objects that might disrupt its sensors. If your energy bills seem unreasonably high, it could because of inefficiencies in your home such as outdated insulation and leaky windows. An energy audit can allow you to identify these issues and find ways to make your home more energy efficient. If your home is properly sealed and insulated, your HVAC system won’t have to work as hard to regulate the temperature inside. To learn more about the home energy audits we offer at First Choice Inspectors, feel free to give us a call or contact us online today! Despite the Chicago Department of Public Health’s efforts to address lead hazards in older homes, many neighborhoods in and around the city are still in need of lead paint abatement. Although lead-based paint is relatively harmless when left undisturbed, it can because a serious health hazard when it begins to deteriorate into a toxic dust. Young children tend to be particularly vulnerable to lead poisoning, as they are more likely to accidentally ingest small flakes of lead paint that fall from walls and ceilings. Because their brains are still developing, they are also more susceptible to the neurological damage caused by lead poisoning. According to a report from ABC 7 news, more than 4,500 children in Cook County tested positive for lead poisoning in 2014. Should you be concerned about the presence of lead paint in your home? If your home was built before 1978 and has never undergone an extensive renovation, there’s a good chance that there is at least some lead-based paint in your home. 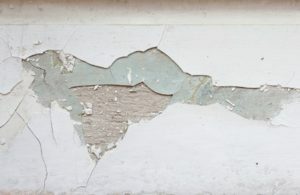 Even if the walls and ceilings have been repainted numerous times over the years, you may be able to spot signs of chipping lead paint around door frames, window sills, stairs and railings. In general, it’s always best to err on the side of caution when it comes to lead-based paint. This is especially true if you have children in your family. At First Choice Inspectors, our lead inspections are specifically designed to uncover lead paint hazards in the older homes in our area. In the event that we identify signs of deteriorating lead paint, we can also recommend a lead abatement company to help you safely resolve the issue once and for all. To schedule an inspection, give us a call at (773) 429-9711 today. You find a home that you and your family absolutely love. You’re just about ready to make an offer, but then a routine home inspection reveals signs of past water damage. Could this cause more problems in the future? Should you abandon the home altogether? There are a few important things to consider before following through with the deal. 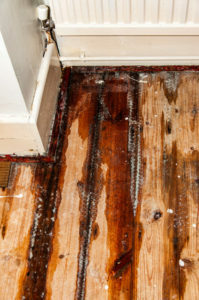 Water damage can cause mold, rot and more. If it isn’t properly remediated, water damage can cause lingering issues for years. Homes that have been water damaged may be more prone to mold and mildew growth, for example. They may also require structural repairs if the damaged was extensive enough to cause beams and joists to rot. Be sure you have a clear understanding of the extent of the damage and the work that was done to repair it before you think about buying the home. It can also bring down the value of a home. If water damage isn’t properly assessed and repaired, it can also significantly reduce the home’s resale value. If you’re willing to negotiate for repairs, or make the repairs yourself, you may be able to use this to your advantage as a buyer. On the other hand, if you don’t want to invest that kind of time and money in the home, you’re probably better off looking elsewhere. The damage isn’t always immediately obvious. Some signs of water damage, such as mold growth and drywall stains, are pretty easy to spot. Others, like the effects of water damage on a home’s electrical system, require a trained eye to identify. If you notice superficial signs of water damage during a walkthrough, a home inspection may reveal more serious underlying issues as well. Be sure to have the home inspected by a professional before making a final decision. Want to make your dream home won’t turn out to be a money pit? Give us a call or contact us online to get your quote with First Choice Inspectors today!